Brunswick carries on the success of their Team Brunswick gear into bowling shoes. The Team Brunswick have a mesh upper that offers breathability and flexibility as well as padding in all the right places for comfort. 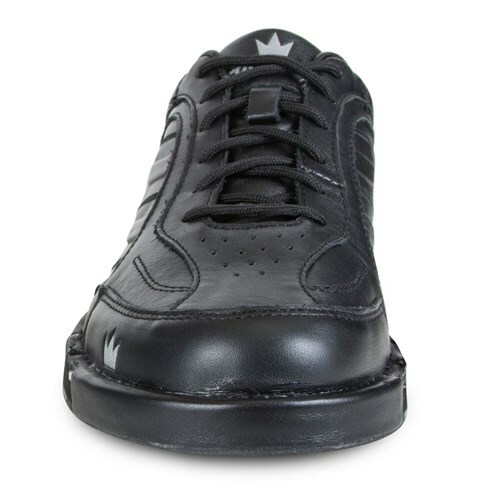 These features combine to give you the bowling shoe performance you need while looking good! Also included in the box are 5 slide soles, 4 heels, a shoe protector, and a zippered nylon bag! No other company is giving this many replacement soles and slides. Not only are these shoe comfortable the look good too. As a DV8 staffer Ive been using these shoes for a while now with no signs of wear. Highly recommend .. The Crown is for Comfort! As a regional staff member for Brunswick we get sent products from time to time to demo and review. I'm pretty particular when it comes to my bowling shoes. I've worn the same brand of bowling shoes for over 15 years. About three months ago my favorite shoe (at the time) was sadly discontinued. 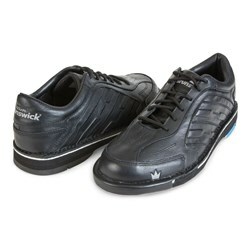 I was on the lookout for a new pair of bowling shoes when I was sent my pair of Team Brunswick shoes. This was my first pair of Brunswick shoes and I wasn't sure what to expect. I was so excited when I received these shoes I wanted to write a 5-star review after the first time I wore them. However, I decided I'd wait to see how they held up to the amount of bowling I do. The wear I put on my shoes is significant. I'm happy to share with you the shoes are holding up perfectly! The comfort of these shoes is noticeable right out of the box with little to no noticeable "break-in" and continue to maintain that comfort today. The sizing for me was true to the size I usually wear. 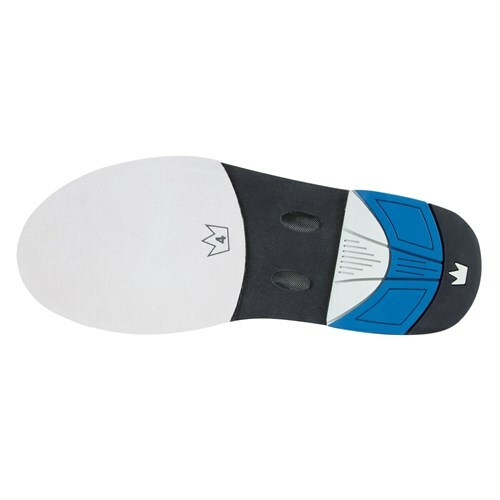 The number of interchangeable soles included with the shoes is perfect for getting the right slide for your game and different approach conditions. 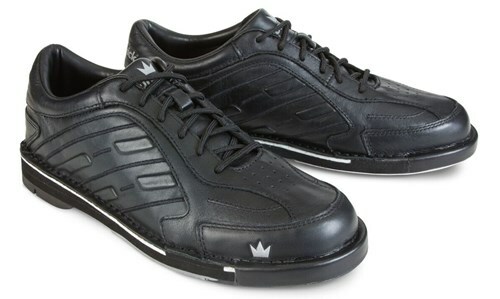 I highly recommend these shoes for anyone looking for great new pair of shoes or as a gift for the bowler in your life. Hope you enjoy yours and thanks for reading! 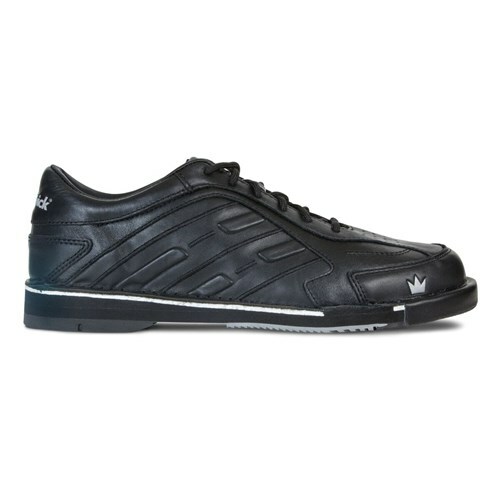 Here is the new Team Brunswick men's performance shoe. The shoes are made with full grain leather and they are really light weight. Before to get those shoes I had the Dexter The 9. They feel lighter than the 9 and they can breathe more easily with the holes under the sole. The Team Brunswick comes with a sole protector and it also come with 5 soles and 4 heel and a little bag to put those soles in it. The best part of it is that they are cheaper than the 9 and you don'T have to buy extra soles so it comes way cheaper!! 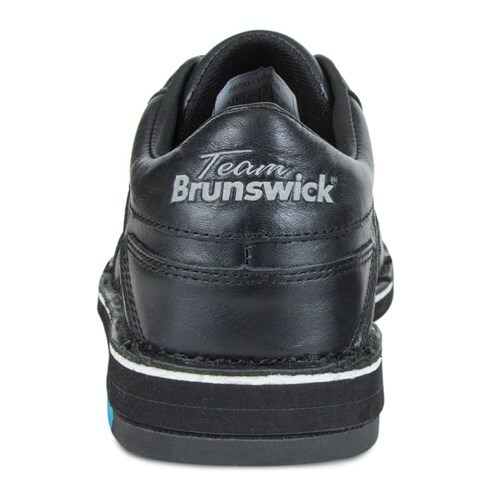 To conclude, if you wanna have high performance shoes at an affordable price, the Team Brunswick are for you. Best performance shoe at the best price! You can bowl with these right out of the box. No need to "break in". Comfortable, and they come with all of the heels and soles, which is a super plus! Can't beat it. Shoes are very versatile with interchangeable heel and soles. Probably one of the best pair of bowling shoes I have worn. 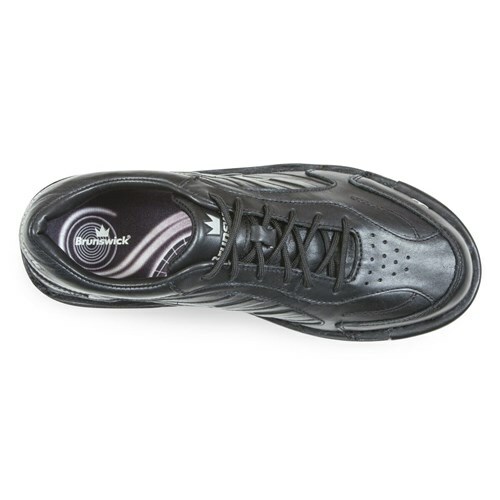 I have been using these for about 3 months and they feel great, feels like you are walking on air, soles are easily interchangeable and size is almost perfect to what you would normally wear. highly recommended!! Best bowling shoes I've worn. 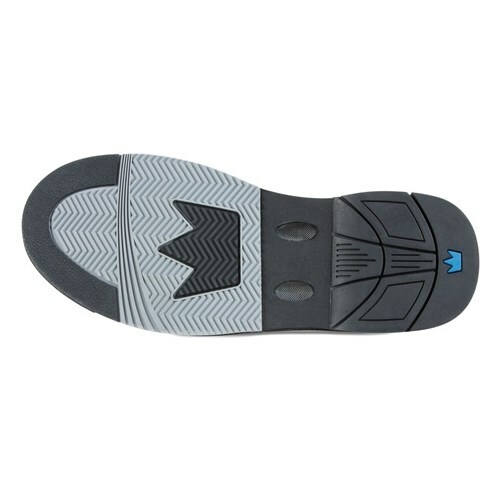 Very consistent slide, wide variety of heel pads and slide soles allows for sliding on any surface.. With everything that comes with these shoes, you can't beat the price!!! If you are in the market for new bowling shoes, I highly recommend giving these a try!! These shoes are just as comfy as the TPUXs or better. When I put these on the comfort level was the best I have felt in a long time in a pair of shoes. They look like 3GS and have the comfort level beyond he TPUXss. 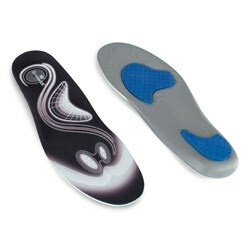 The sole and heels you get with these is complete compare to the SST 9 where you get none at all. So if your looking for performance and price these are the shoes for you. This product is absolutely comfortable. At times I've walked outside with these cause they feel like my running shoes they are that comfortable and I've used SST8's for almost my entire bowling life. With these shoes you will find comfort, stability, and of course style. As a tournament player I have to look for equipment that best suits me for comfort and longevity. Shoes can be adjusted for any approach condition.These shoes bring a whole new meaning to the Brunswick brand. By Mike from Carolina Shores, N.C. These shoes are highly comfortable. And I like the ability to customize both the sole and heel of the slide foot shoe, which was the main reason why I bought them! But, after wearing them for about 14 months, the hard rubber sole of the shoe split completely in half - right at the arch! I have NEVER seen any shoe split in such a way in my entire life! Therefore, I can not recommend these shoes... sad to say. Unfortunately we cannot say for certain, but a lot of soles are cut to fit, and with a velcro bottom they should stick. Do both left and right shoes have replaceable components? Hello. Only the left foot will have replacement soles. How does the non slide shoe hold up to heavy toe drag? The best shoes to go with if you have toe drag would probably Dexter THE 9s or the 3G Tour Ultras. 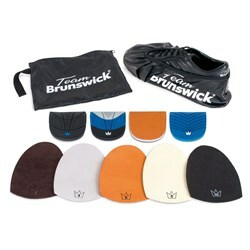 Due to the time it takes to produce the Brunswick Mens Team Brunswick Black Right Hand ball it will ship in immediately. We cannot ship this ball outside the United States.